WIN a FREE $1000 Shopping Spree!! You could WIN a FREE $1000 Shopping Spree!! Just in time for Back to School Shopping! 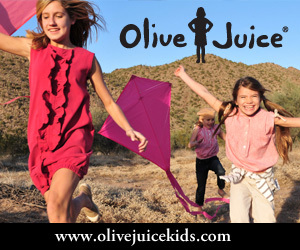 I have found a new company to work with & they have the Cutest Children's/Kids/Baby & Women's Clothing! 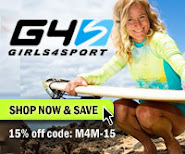 They are also having a Great Sale too!! *Don't forget to Enter their Shopping Spree! Hapari ~ Swim Sale! $5 items!!! Did you know that Hapari has marked their "Sale" prices down even more?! I just noticed that they have some swim tops as low as $5 Buckaroos!!! I Love me a good Modest Swimwear sale!! 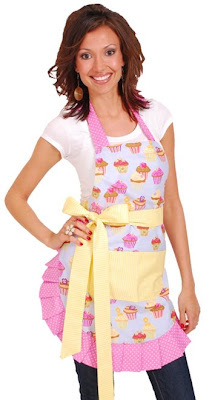 MORE Flirty Aprons for $12.99!! They just found more of these Aprons in the Warehouse!!! These are "Irregular" ~ Some common irregularities include: restitching, loose seams, & pockets, & minor print flaws. These are $12.99!! & FREE Shipping!! Shabby Apple is having their HuGe Summer Sale!!! THIS is their Biggest Sale EVER - Because EVERY Dress is on SALE!! The Sale runs the entire month of July!!! USE COUPON CODE: SUMMER20 to save 20% off Site Wide!! The only exclusion is Amalfi Coast Swimwear. Click on the pic. to Shop!